Behind every Jana Marie Foundation experience, there are volunteers filling a multitude of roles. It is the commitment of our volunteers that drives Jana Marie Foundation and allows us to open minds and save lives. 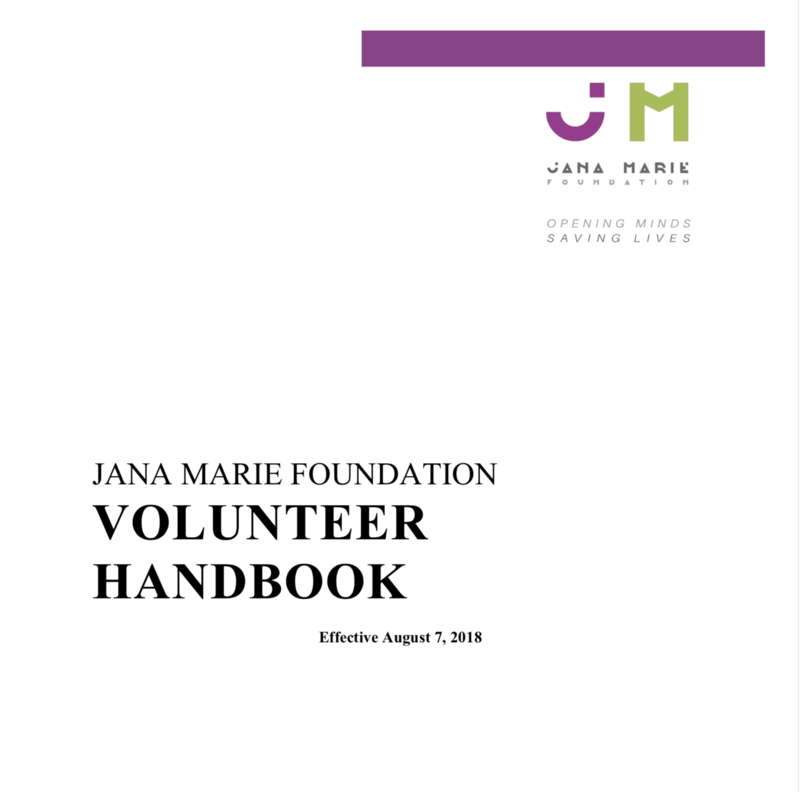 Thank you for your interest in volunteering with Jana Marie Foundation! We are very excited about this opportunity for you to join us in raising awareness for mental wellness and supporting young people and their communities. Since Jana Marie Foundation has been operating we have seen many milestones. Providing vital resources to parents and caregivers, hosting powerful events for youth to grow their self- confidence and learn life-long coping skills, and encouraging courageous community-wide conversations are but a few of the highlights of the Foundation since its humble beginnings. We have reached thousands through our community projects and educational trainings and we couldn’t have done it alone. Volunteers have played a significant role in each of our milestones by contributing time, skills, enthusiasm, and passion in all that they do. Volunteers have served in a variety of capacities in growing our organization, including helping with the development and implementation of programs, facilitating programs that promote creative self-expression, and being public advocates within the community. With the help of volunteers, the reach of our organization has greatly expanded into areas that otherwise could not have been considered due to limited resources. We are grateful for all that our volunteers do and look forward to continued growth in the coming years. 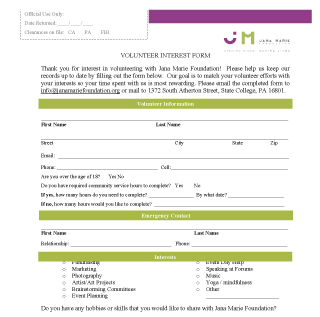 Download our volunteer interest form.